Counseling is a collaborative process that promotes personal growth, healing, and problem solving. It is an opportunity to share your story, be heard, identify obstacles, and move toward living in accordance with your values. WPI students are encouraged to visit the SDCC for guidance, comfort, or just someone to talk to. 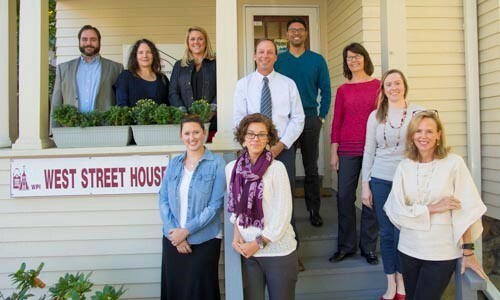 We provide individual, couples, and group counseling options, as well as consultations, crisis interventions, and referrals to local specialists. Whatever’s on your mind, we’re here to provide help and support. During an appointment, you get a chance to express what is on your mind. Counselors are trained to listen carefully, give an objective viewpoint, help you solve problems, and formulate a plan of action. As you work toward your goals, your counselor will support you as needed. We can also help you work with faculty, student housing, career counseling, academic advising, or any department at WPI. Meetings typically last 50 minutes, but may be shorter depending on your needs. All sessions are kept confidential unless you make a request in writing to release information. Exceptions are made only as required by law and are outlined to you before counseling begins. Research shows that counseling works—many students have benefited from counseling at WPI. Simply call 508-831-5540 to make an appointment. You will be asked in confidence for your name, availability, and a brief explanation of your concern. To respect your confidentiality, we do not schedule appointments by email. Being counseled helped me understand the social stigma regarding counseling, and for a time, I agreed. I thought it was wrong and bad of me to need to go. Thankfully, my sessions changed my mind and helped me relax, stay focused, and get back on track!